Kick off your Australian road trip adventure with a reliable motorhome rental. Australia's exciting, diverse landscape is made for exploring, so VroomVroomVroom is offering you some amazing deals on camper rentals. We offer great rates on campervans and RVs from Apollo, Britz, Jucy Rentals, Maui, and Real Value. You may find that it works out cheaper and easier to hire a campervan than to book hotel rooms and a hire car. We compare deals from top providers in the country and display the best rates in a comparison list. For a simple booking process, reserve your campervan rental with VroomVroomVroom. Where can I find a reliable campervan rental in Australia? Our site lists the cheapest campervan and motorhome rentals in Australia. We offer the best and newest models at rates up to 25 per cent less than other suppliers. We also offer campervan hire in other countries such as New Zealand and the United States. Simply follow the links below to compare campervan rentals in these locations. 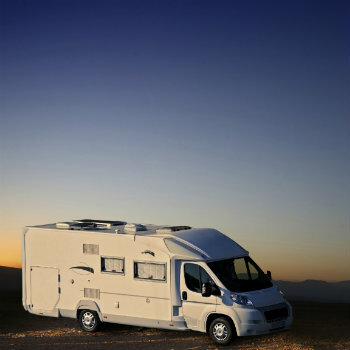 For those visiting from overseas, what you might know as an "RV" or "motorhome" is commonly called a campervan in Australia. In the industry, "berth" refers to how many people can sleep onboard comfortably. However, it is important to note how many seat belts come with your campervan so you are prepared to travel. If you need a campervan to help you explore Australia's beautiful countryside, we can assist you. Just use the search box above to display any motorhomes that are available from our Australian locations. Enter all the details required to complete a search, and our system will do the rest of the work for you. Driving on the open roads in Australia with a campervan rental is a great way to travel. Hiring a motorhome lets you see more of Australia, and give you first-hand experience driving on the country roads. Renting a campervan can save you money on additional accommodation and transportation costs. Today's campervans are elite, ranging in size, design and boasting different facilities. VroomVroomVroom compares motorhome rental rates from leading suppliers in Australia such as Apollo and Britz. Campervan and motorhome rental companies can offer you vehicles that sleep up to six people, with various extras like a microwave, gas stove, grill, refrigerator and reverse cycle air conditioning. Renting a campervan is a great option for a small family, or anyone who is interested in exploring Australia in detail. When you book with us, you can make up your holiday itinerary as you go. Our Travel Blog can provide you more interesting information on topics such as camping and road trips. Before you begin your journey, you may want to read our driving tips in Australia to help your trip go more smoothly. You can also check out this video for useful camping tips.